Tough first game for promoted 2's! 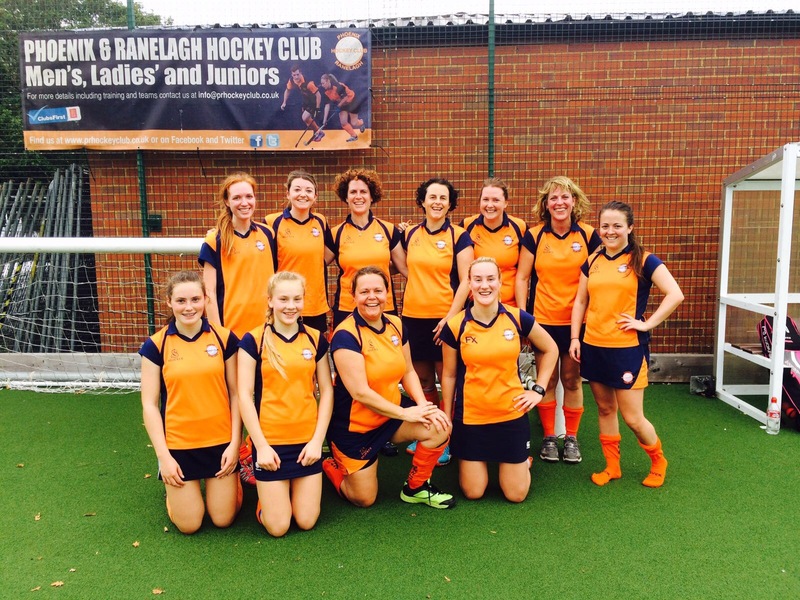 P&R Ladies 2's faced tough opposition on Saturday against Abingdon 1's who were relegated from Div 1 last season but they put up a good fight! The opening game of the season is always a bit tricky in a new division but having just been promoted the Oranges started the game on fire with Beth Tait-Alexander scoring on 5 minutes from the right wing. Abingdon came back strong after the shock of going a goal down and piled on pressure to P&R, getting an equaliser after 11 minutes to get them back on level terms. They continued to play a fast paced, long ball game which P&R struggled to adjust to and went 1-2 up after 16 minutes despite multiple saves from Hannah Doherty in goal and some scrambled defence. P&R got back into the game with Tait-Alexander driving down the wing and putting in some great balls but the home team just couldn't get the final touches or rebounds they probably deserved. Despite P&R fighting back, the visitors scored again after a turnover of orange possession on the half way line and Abingdon went in 1-3 up at half time. After a reshuffle back to the starting line up P&R again starting strongly and nearly got back into contention just after half time, Naomi Ashcroft and Hannah White just missing out on the back post after some great link up play between Mandy Wilton and Deese Pointon. Abingdon again took advantage of the gaps that appeared due to P&Rs attacking set up and they went 1-4 up with 15 minutes of the second half on the clock. P&R regrouped again and for the last 20 minutes were totally on top of the possession - White scored with 6 minutes to go to make it 2-4 but despite the pressure the home side just couldn't muster another 2 goals in the time left. White played the hero 2 minutes from the end after running 50 yards back towards her own goal chasing an Abingdon breakaway which looked sure to result in a goal. Hannah D managed to hold up the rampaging attackers at the edge of the D and although they got a shot off it was saved on the line as White dived in full length to divert it just past the post! She donated blood to the cause with a totally scraped up hand but that saved shot might be worth a lot come the end of the season! Next up is Uni of Reading 4's away at the Uni Sportspark at 3pm on 30th September. All spectators welcome to cheer us on!